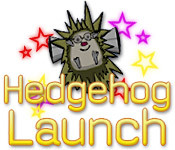 Minovia Cay just started a space exploration program, code named operation Hedgehog Launch. Grab your slingshot and take command.Operation Hedgehog Launch has landed.The tiny Carribean nation of Minovia Cay needs you to head up its new space program, code-named operation Hedgehog Launch. Armed with only $50, a slingshot, and an infinite number of hedgehogs, you must help this tropical paradise reach the stars. 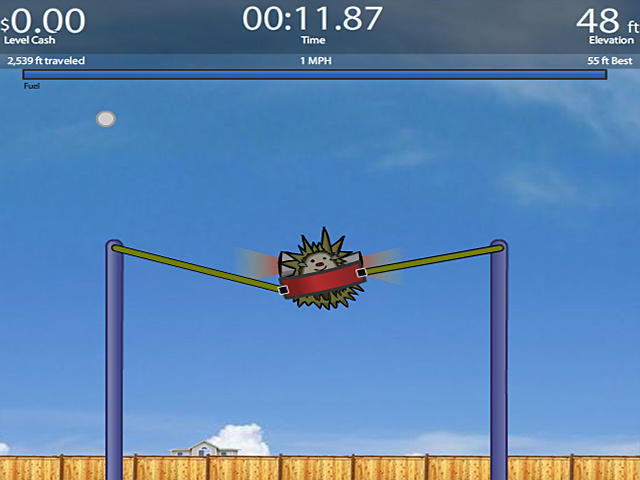 Launch a hedgehog using the slingshot. 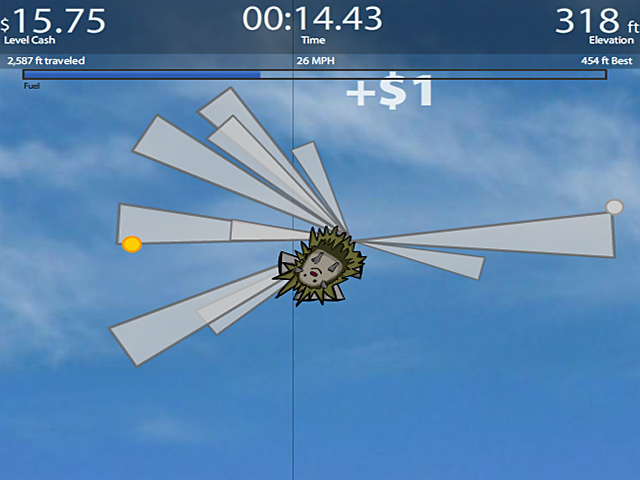 Use left and right arrow keys to help him collect coins and hit bounce platforms. Buy equipment upgrades with your earnings. Good luck, captain. 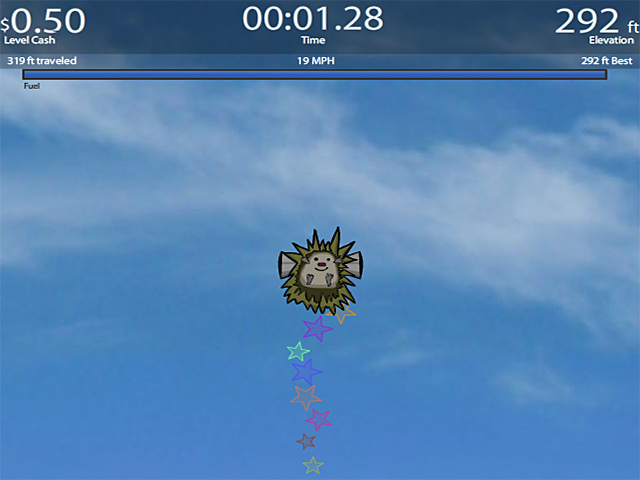 This is one small step for you, one giant leap for your hedgehog.